Join us to show your support for the many men and women in the Fresno Police Department who give so much of themselves, every day, to make our city a safe place to live, work, and thrive. What is Support Blue Fresno? Support Blue Fresno is a grassroots effort to broaden support for the men and women who protect our City, while preventing the current national anti-law enforcement narrative from gaining traction locally. FREE park entrance day of event! The 10k is a Timed Event, the 2 Mile is not timed. 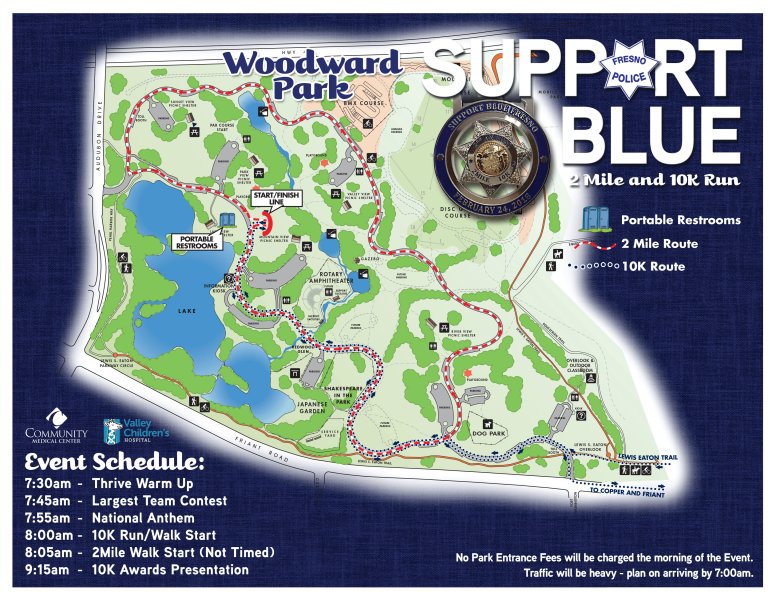 How was Support Blue Fresno 2Mile and 10k?